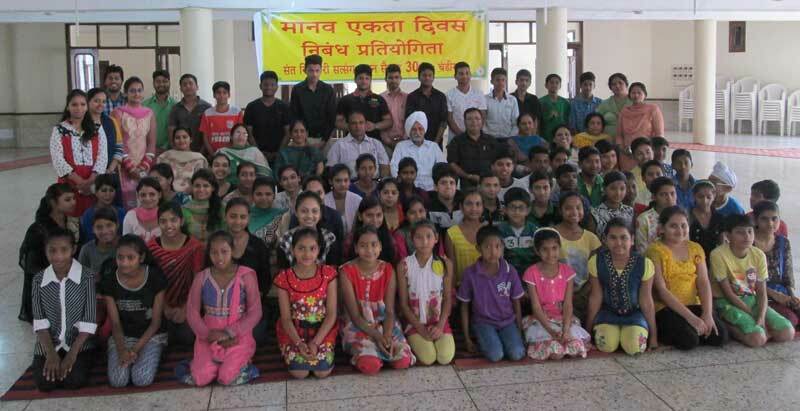 newznew (Chandigarh) : Mr. G.B. 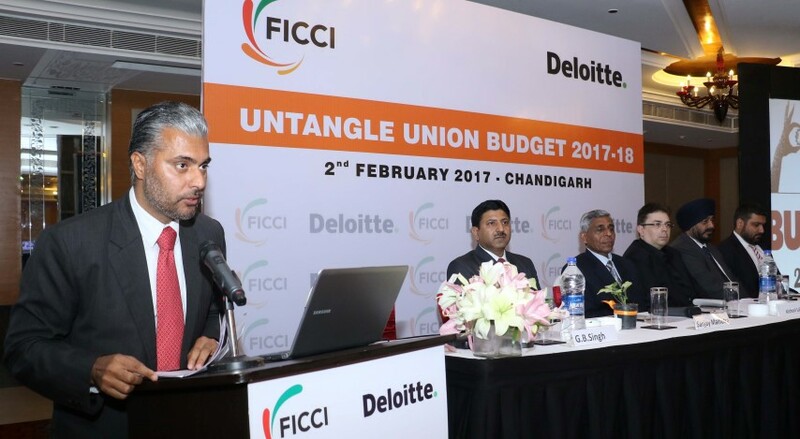 Singh Regional Director-FICCI, Chandigarh, while speaking at a Session on “Untangle Union Budget 2017-18” here today lauded the budget focus agenda of “TEC India” i.e. Transform, Energise and Clean India. Mr. Singh appreciated the measures in the field of Social Security, Quality Education, Prudent Fiscal Management, Infrastructure Development, and Relief to tax payers. The session had been organized by Federation of Indian Chambers of Commerce & Industry (FICCI) in association with Deloitte and strategic partner Institute of Cost Accountants of India (Chandigarh-Panchkula Chapter). More than 100 Key industry leaders along with senior government officials and taxation experts participated in the deliberations. “Union Budget for the financial year 2017-18 would tremendously strengthen the economic muscle of the country”, said Mr. Rajinder Gupta, Chairman FICCI Regional Advisory Council and Chairman, Trident Group. Mr. Gupta while welcoming the the Union Budget said, “It is directionally correct, fiscally prudent and strengthens the governance fabric of the nation.” He said FICCI compliments the Finance Minister on his vision for the economy which alongside economic growth also ensures economic justice. Growth without inclusion can be a liability for the country, he added. Sanjay Malhotra, Indirect Tax Expert & Member Tax Committee- FICCI Chandigarh apprised Industry Members of Union Budgetary changes and Road Map to Goods and Service Tax which will lead to Increase in GDP, Benefit Consumers, Less Compliance Cost and is a Step towards “Ease of Doing Business”. He added that the progressive measures announced in Union Budget would bring in greater transparency besides economic growth and making the small businesses competitive. Balwinder Singh, Chairman, Cost Accounting Standard Board and Member- Tax Committee – FICCI, Chandigarh welcomed the Budget and added that it has given due recognition to underprivileged sections of society, transparency in electoral funding and merger of Rail Budget with General Budget for the first time. Rahul Vig, Senior Partner Deloitte shared his views on Merger and Acqusitions. Mr. Amit Agarwal, Partner Deloitte spoke on Direct Tax amendments in Union Budget and Mr. Vineet Chhabra, Partner- Deloitte apprised Industry Participants on “Transfer Pricing”. Among other prominent present on the occasion were, hetan P.S. Rao, Joint Commissioner Income Tax, Chandigarh, Kishori Lal, Commissioner, Central Excise & Service Tax, Chandigarh, Rajan Dutt, Joint Commissioner, Central Excise and Service Tax, Chandigarh, Maninder Singh Bains (IAS), Chairman Chandigarh Housing Board and Deepak Nanda, Managing Director- Trident Limited, who were the Guest of honour on this occasion.